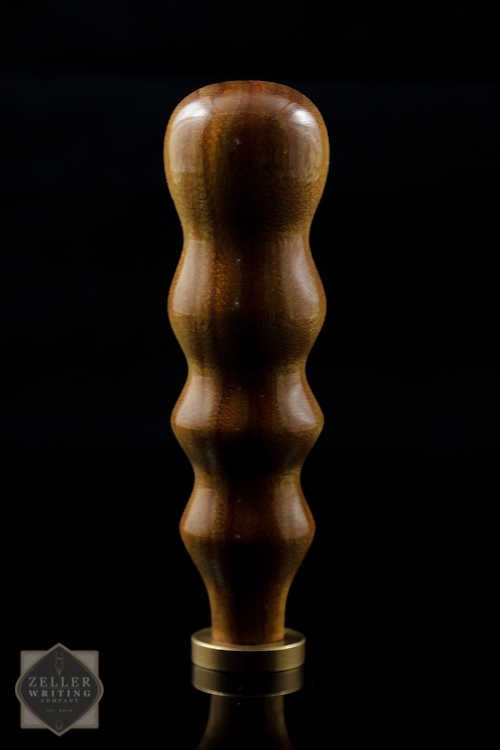 This Zeller Writing Company Wax Seal Handle is made of Canary wood that is hand selected for its unique colors and grain. 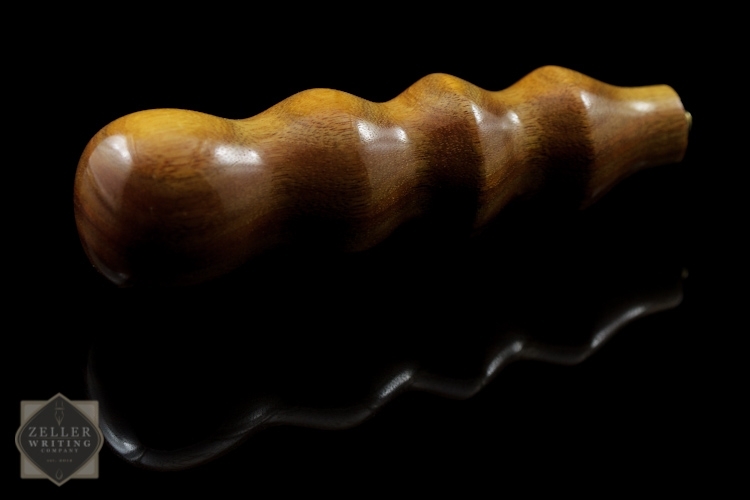 Each handle is hand crafted and so there may be some slight variation between handles. This Zeller Writing Company Wax Seal Handle is made of Canary wood that is hand selected for its unique colors and grain. 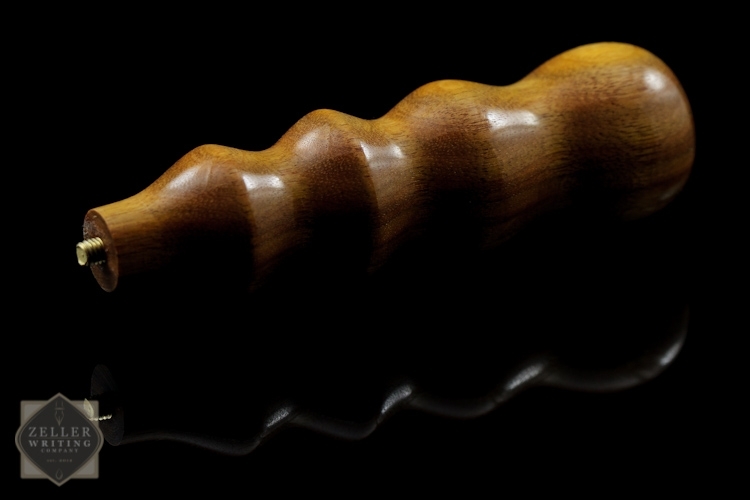 Each handle is hand crafted and so there may be some slight variation between handles. Handles measure approximately 4.75". Brass threads made to match J. Herbin brass seals (10-32 thread.) If you require a different thread, please contact us. Note: Due to the hand made nature of these handles, some variation can be expected.